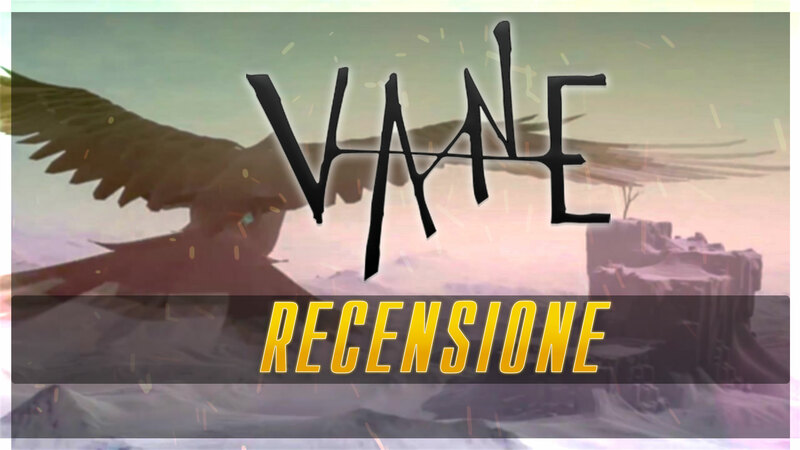 Vane it is the first work of the Friend & Foe Games, an independent studio composed by some veterans of the video game industry, who in the past worked (among other things) in the series Killzone and from The Last Guardian. The 5 developers that make up the team have decided to move away from the triple A title scene to settle in Tokyo and follow their hearts by devoting themselves to projects that really thrill them. Two are the main "inspiring muses" of Friend & Foe: on the one hand the titles of Fumito Ueda and the ICO team, on the other hand the works of That Game Company, in particular Journey. Vane is, therefore, a project that has "the right inspirations" and capable and passionate developers: what could go wrong? The first stages of Vane's game are the best and most promising. As a crow, we are free to explore a huge desert landscape, with the aim of identifying places of interest that will allow us to advance in the adventure without aid or "external" indicators. The choice of Friend & Foe to minimize the interface and the tutorials turns out to be quite apt in these first moments. To continue we must look around and follow the environmental cues left by the developers to solve a first riddle that, albeit trivial, is rather fascinating and engaging because it is not driven. Already in this first section you can, however, find some of the main problems of Vane: the control system is not very reactive, woody and imprecise; the camera is sometimes difficult to manage and tends to get stuck under the floor; the performance is anything but fluid and at times extremely snappy. And these problems do nothing but accentuate going forward in the game. At the end of the first "act" we will have acquired the ability to transform our crow into a child (interacting with a mysterious golden substance). If in the form of a crow it was possible to take speed and cross the wide areas of Vane with relative ease, the human form is slow and definitely not suitable for exploring these mammoth places. The experience is even more frustrating when our child will have more than one problem in collisions with the floor, sometimes falling into it and forcing us to reload the previous save point. Rescue point which, for some obscure reason, is always placed at the beginning of the act: running into one of the (frequent) bugs that keep us from continuing, we'll have to start the chapter all over again. Arrived in the third act, the game introduces a new mechanic that makes the progression even slower and more frustrating. Specifically, he asks us to roll a huge and very slow boulder for a map of considerable size, with few indications on the next destination and many blind alleys that will force us to a backtracking at snail speed. We can therefore say that if for the first two chapters Vane is still competent for what is not particularly brilliant, from the third chapter onwards the title falls in full in mediocrity. The riddles are made, in the first instance, extremely banal and then disappear completely: in their place there are sections of several minutes where we simply walk and "assimilate" the setting and the evolution of the story. It's a pity that the story is for the 90% of the impenetrable game in its abstractness, acquiring a minimum metaphorical sense only at the end of the adventure. The end of the story comes in just a couple of hours, continuing forward and avoiding bugs that could force you to start entire chapters all over again. The settings, on the other hand, they are definitely suggestive, reconstructed with a "texture-free" style that does not detract from the undoubted quality of the artistic direction. Also the music is up to the artistic sector, with synth songs that define the atmosphere and effectively accompany the action. Ultimately, Friend & Foe seems to have taken inspiration from the more superficial elements of the works of That Game Company and the ICO Team. Also in Journey the gameplay the basic riddles appeared to be rather simplistic, but the title had a fluid movement system that was pleasant to use. The Fumito Ueda games also feature impressive architectures and environments full of "negative space" (the long rides in Shadow of the Colossus are an example). This negative space it is, however, used to break the rhythm between an area of ​​interest and the other (between a Colossus and the other in the case of SotC). In Vane, on the other hand, negative space constitutes the majority of the gaming experience and, moreover, there is no way to cross it in a "fun" way.